In celebration of Fashion Revolution week, we want to unpack what it means to be ethical. 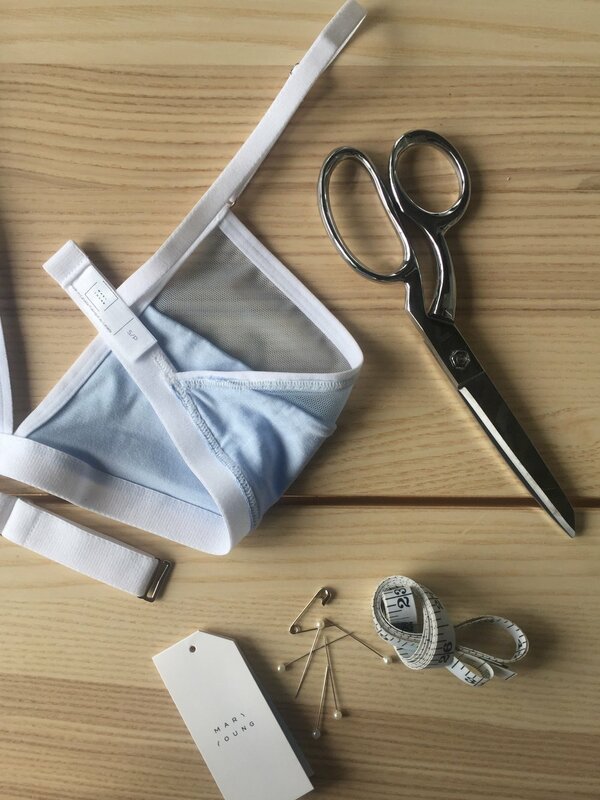 Often times we hear about how products are ethically made, but what does that really mean? Ethical fashion is an approach in design which maximizes the benefits to others and to our environment. We follow the triple bottom line approach which includes social, environmental and commercial initiatives to create a sustainable fashion business. All of our designing and initial sampling is done in-house in Toronto. Our products, the garments you receive, are made in a production house in Montréal. We keep our production in Canada because it is important to us to continue to create jobs within our country and to better the Canadian economy with every step. In terms of our product, the main fabric we use is a bamboo blend and it is our staple fabric. It's soft, smooth, breathable and strong. Perfect for our intimates that has the mandate to encourage confidence in comfort. Unlike cotton, bamboo doesn't require pesticides and herbicides to grow. Our products are fairly marketed and like any good business model, we aim to meet the needs and demands that you may have. When it comes to packaging we take the same care and thoughtful approach. We minimize the use of plastic, no garment is sealed in plastic but rather hand wrapped in tissue. All of the extra pieces you receive with each package are recyclable and in turn, minimizing our ecological footprint. We also feel that it's important to better the communities that we're apart of which is why we continue to grow our Self Love Club initiatives. As consumers, it is crucial that we keep in mind how our consumption habits effect others and the environment. As a business we take an active role in producing ethical and sustainable products that seek to empower you. We continuously look for ways to improve our production process to one that is more eco-friendly and sustainable than the last while sustaining our business practice. Ultimately, what matters to us is that we are leaving a positive impact on every step of the supply chain. Get involved in Fashion Revolution.